The Quality Hotel Skjærgården is beautifully situated just beyond the Langesund archipelago. It is ideal for conferences and family holidays with many activities in the area. Guests can also enjoy the new sun terrace and jetty! This is a cash-free hotel. Welcome to Badeparken, a wonderful indoor and outdoor water paradise! Come here during your stay at the Quality Hotel Skjærgården or just for the day. 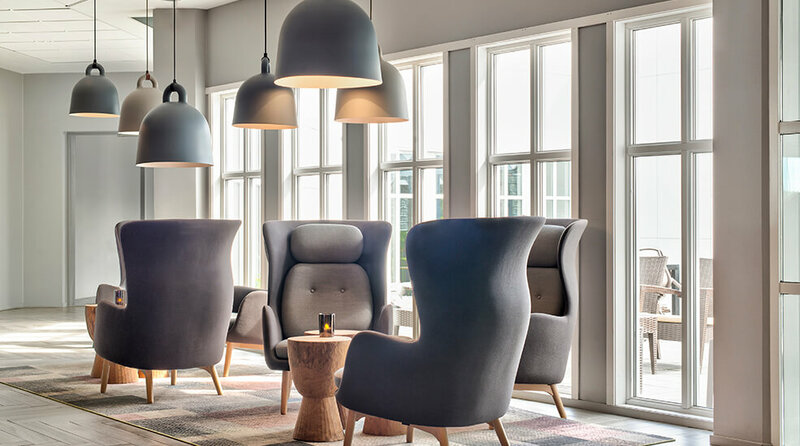 Enjoy food, beverages and a view of the sea at Quality Hotel Skjærgården's restaurant and bar. Quality Hotel Skjærgården has many years' experience of hosting conferences and can arrange everything from small meetings to large events and conferences for 350 people.